How this photo came into being. The strawberry was sooo big I had I had to take a picture of it. Oh then I had to have something to give it perspective. 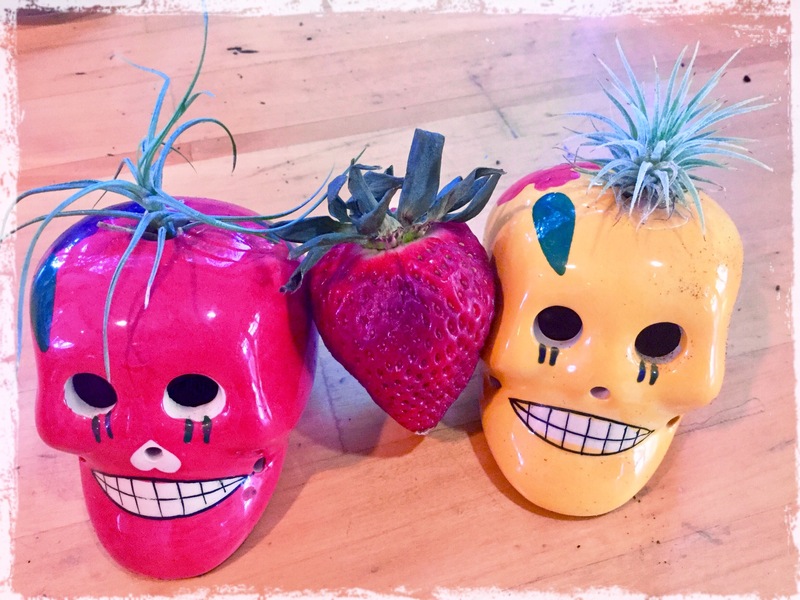 The Day of the dead skull planters had the same topknot so there you have it. A silly Oddball image. This entry was posted in Day of the Dead, May Day, Photography, Visions and tagged Photography. Bookmark the permalink. Mysteries In The Garden Sure Have Me Knackered. That’s one big berry, Carol. This is such a fun photo for odd balls. Thanks Carol. 😀 Enjoy that strawberry.